Many things in the Book of Mormon are described as a “curious workmanship” — the Liahona, tools and buildings, the gold plates. Each time, ancient prophets attributed these creations to the Lord. But perhaps one of the most impactful creations in the Book of Mormon is the ship the Lord commanded Nephi to build to cross the ocean to the promised land. “[W]e did work timbers of curious workmanship. And the Lord did show me from time to time after what manner I should work the timbers of the ship. 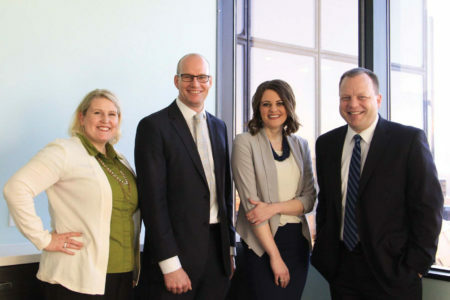 BYU-Pathway Worldwide, guided by the Spirit, began the creation of its own ship of “curious workmanship” in 2018 by redesigning the curriculum for its PathwayConnect program. The new curriculum, which is currently being piloted and launches in April, has been refocused to help students gain meaningful life, professional, and university skills while better transitioning them into an online certificate and degree program after PathwayConnect. 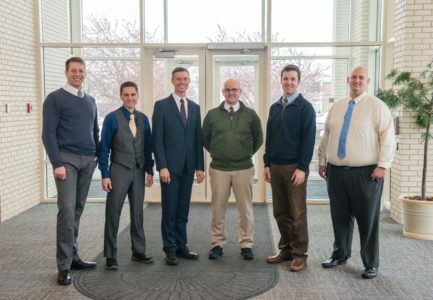 The idea for designing a new curriculum began when BYU-Pathway President Clark G. Gilbert presented to Jon Linford, then BYU-Pathway vice president of curriculum, the idea of students starting their degree program while still enrolled in PathwayConnect. He suggested that during the final semester of PathwayConnect, students would take the first course of their first online certificate, thereby bridging the gap between PathwayConnect and their degree program. Pope, the only curriculum writer at the time, began the process of building the new curriculum. 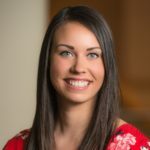 But, quickly realizing that this work would require more hands on deck, BYU-Pathway brought on two additional writers, Curriculum Manager James Findlay and Curriculum Specialist Sarah Jackson. The team also began collaborating with 17 other employees located throughout the country. The new curriculum uses integrated and applied learning models to teach students basic math and English skills, while also preparing them to earn a certificate and degree and apply what they’re learning in their lives. In fact, math and writing skills are woven into the course outcomes, which focus on practical application: for example, students learn math by creating a budget or learn writing by composing a cover letter. 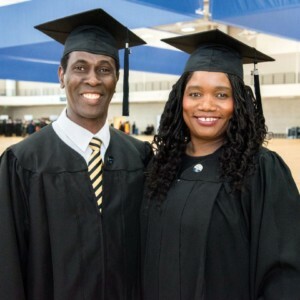 BYU-Pathway Worldwide’s mission is to provide access to higher education wherever the Church is organized. A worldwide organization means a broad spectrum of students with varied backgrounds, cultures, ages, languages, and so on. With such an unconventional audience, BYU-Pathway needed an unconventional approach to its curriculum. The curriculum outcomes mirror BYU-Pathway’s three purposes: (1) help students get the gospel down into their hearts, (2) help them become capable learners, and (3) prepare students to lead and support families. These foundational purposes stretch beyond just helping students learn basic skills — they prepare students to become what they need to be in order to be successful in life. 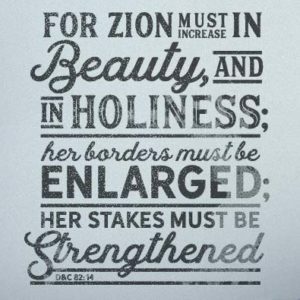 BYU-Pathway seeks to do just that — to help students become who God wants them to be by preparing students for life and, ultimately, to build Zion. In order to help students truly become something, PathwayConnect’s new curriculum needed to enter uncharted territory in online education. While most online curricula follow a “Life Skills-Math-English” format, as the previous curriculum did, the new curriculum follows an integrated format that bridges the gap between PathwayConnect and online degree programs offered in partnership with BYU-Idaho. PathwayConnect is comprised of one year (three semesters). In the first two semesters, math and writing skills are woven into courses focused on developing life and professional skills. In their third semester, students take a university skills course and the first course of a 12-15 credit job-ready certificate they choose. This certificate leads to employable skills and counts toward an associate and bachelor’s degree, accredited by BYU-Idaho. Through this integration of PathwayConnect and a degree program, students will have already begun their certificate while still in PathwayConnect. Students will have all the academic support they need to chart their course through the different stages of their education. The innovative courses are built around seven objectives that embody valuable skills: follow Christ, lead with integrity, manage career, collaborate, solve problems, use quantitative reasoning, and communicate effectively. These skills gained during PathwayConnect combined with the skills earned through certificates will greatly increase a student’s employability. The curriculum isn’t meant to provide students with every skill they need in a particular area, but rather to provide them with the tools they need to tackle future responsibilities and situations in life. In their courses, students will learn study, time-management, goal-setting, financial-management skills, and more. Application is key to personal growth — spiritually, personally, academically, and professionally. That is why the new curriculum helps students apply what they are learning so they can develop as disciples of Jesus Christ who are leaders in their homes, the Church, and their communities. As Nephi’s family obeyed the Lord, He instructed them how to build a ship, which guided them safely to the promised land. 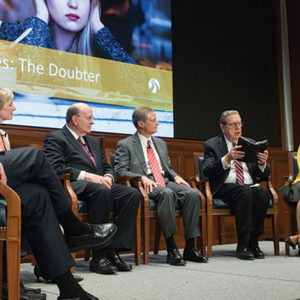 BYU-Pathway’s curriculum is being carefully rewritten, redesigned, and thoroughly tested, to guide its students along their educational journeys and to brighter futures. Comment on "Recharting PathwayConnect Curriculum"